Sun in Aries is referred as an ideal time in Vedas and this is the time, when a new Vedic Year starts. 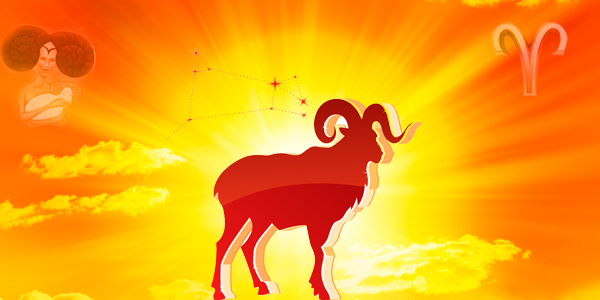 On this auspicious occasion, the Sun transit into Aries acquires maximum power. Aries, the 1st natural house of the Zodiac is very fiery, independent, courageous and enthusiastic in nature. The Sun gets exalted in Aries and presents itself as a wonderful window of opportunity to harness its power for your overall well being. The Sun becomes exalted into its full power when it is in Aries, making it the most auspicious month of the year to strengthen you. Moreover, the radiance of Sun opens the way for new possibilities and strengthens your various endeavors in life. Sun God is the symbol of strength and power in classical Hinduism. Worshipping the Sun God through “Surya Namaskar” and chanting the Sun Mantra blesses your life with strength, glory and success. The radiation of Sun empowers you with leadership, brilliance and executive power for a magnificent life. You can gain the Blessings of Sun for a positive outlook for the coming year that will be full of cheer and good fortunes by participating in the powerful Sun rituals. AstroVed is proud to take pleasure in conducting special Rituals to the Sun God on this auspicious occasion of Sun’s transit into Aries. Get the benefic effects of Sun in Aries Transit for a marvelous life through our Surya Homas and Yantras!